I spent my childhood not knowing a thing about technology, much less the internet. I grew up in an era where the internet was not as significantly developed as it is right now. But yeah, mankind is crazy. We, human, are so highly gifted that in just 10 years later, society is 100% different than it was in early 20s. Our society relies heavily on internet now don't you think? We chat via LINE instead of text. We call via Whatsapp call instead of phone call. We upload photos to Instagram instead of printing them to an album. We write journal in Blogs instead of a diary book. We shop things from home instead of coming to the shop ourselves. And so on. I could go on this list forever. Life is totally different than it was in the year 2000. Crazy. However, it's not all pretty on the internet. Internet can be ugly, harsh, mean and inappropriate at times, because people are actually able to share or upload anything, literally, ANYTHING. From the most decent and normal post to the most inappropriate and meanest thing. So it's up to us on how to make the best out of it. 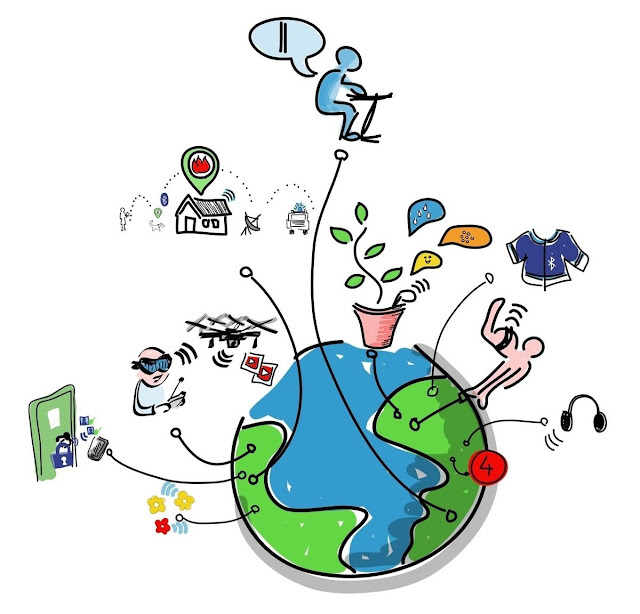 THE GREATEST thing for me about Internet is that, it connects me with everything around the world. It connects me with people I've never met in real life. It connects me with Roger Federer, my favorite bloggers, or just random people around the world. I can simply access RF's website to see his schedule and access theatpworldtour.com to learn about his career journey in tennis. I can watch him practicing LIVE on Periscope like he did last month. I can learn about his Foundation through its annual report which can be downloaded from The Roger Federer Foundation website. I can ask him questions on Twitter. 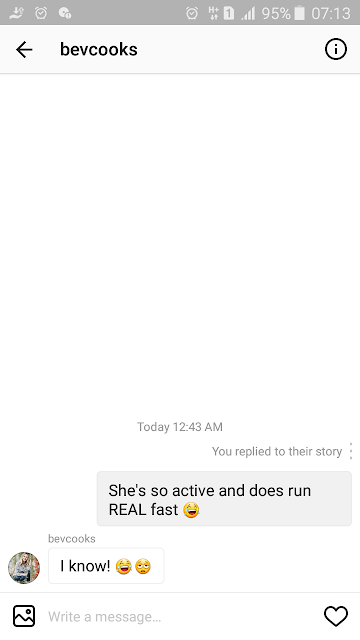 I reply to Bev's Instagram story and she replies back! 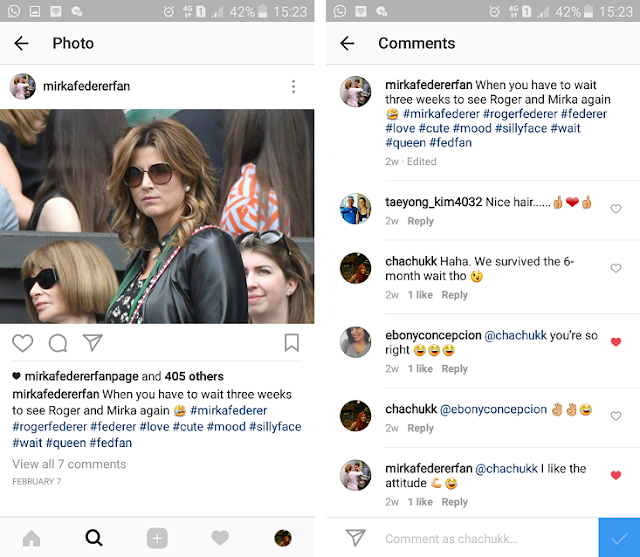 I comment on a post on RF fanbase IG account and initiate a short conversation with other RF fans. And so many other things! It's crazy how I can easily interact with people around the world that I have never met before even once in my life. Bev Weidner, a mother of 3-year-old boy and girl twins, William and Natalie. One of my fav blogger. 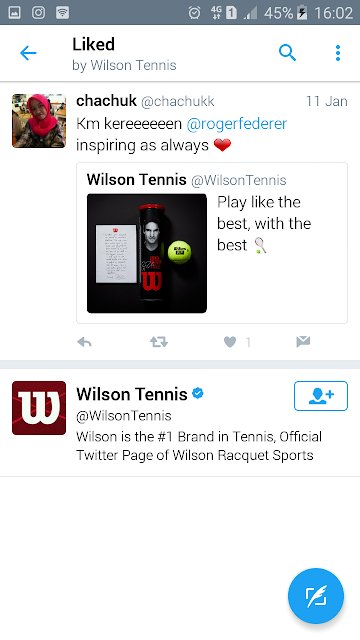 Wilson Tennis on Twitter acknowledged my tweet. Another social interaction. Just a bunch of RF fans having a little conversation.